A consultation at Brghtleaf Dental may be the first step towards reclaiming your ability to drive safely, keep your relationship, hold down your job and prevent depression. After making a diagnosis, Dr. Ana Brightleaf will discuss treatment options with you. This can range from lifestyle changes for mild sleep apnea to clinical treatments for moderate or severe cases. In the latter case, this may include CPAP or newer, more easily tolerated treatments, such as oral appliances and soft tissue removal. Driving while tired is an established risk factor for being involved in a deadly accident. This hazardous situation can be caused by driving after too little sleep, but it can also result from untreated sleep apnea. In addition to placing themselves at risk, untreated sleep apnea sufferers threaten the lives of other drivers. Getting behind the wheel is never totally safe, but the risk is higher with even slight sleep deprivation. 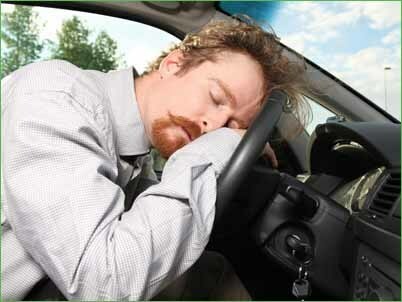 Under conditions of extreme fatigue resulting from sleep apnea, driving becomes a serious hazard. Reduced judgment can result in speeding, unsafe lane changes and mistaking red lights for green ones. Concentration is markedly reduced, increasing chances of colliding with other vehicles, driving in the wrong lane or even heading down the wrong side of the road. Reaction time is extended, making it more difficult to avoid what might otherwise have been near misses. Even the ability to stay in one lane is affected by sleep loss, with effects similar to those seen in drunk drivers. With treatment, drivers who suffer from sleep apnea can once again drive with confidence. For workers whose livelihood depends on keeping a safe driving record, sleep apnea treatment can mean continued employability. Parents can maintain peace of mind each time they drive their children to school or daycare. All drivers share a responsibility to other drivers as well as themselves, making prompt sleep apnea treatment imperative for anyone who operates a vehicle. Drivers battling sleep deprivation symptoms due to sleep apnea and snoring should seek treatment right away. First, however, the condition must be diagnosed. 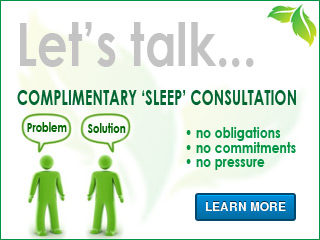 Santa Monica sleep apnea sufferers can visit Dr. Brightleaf at Brightleaf Dental to be diagnosed and treated. Depending on severity and symptoms, lifestyle changes or clinical treatments may be recommended. CPAP, oral appliances and soft tissue removal are three of the most popular treatments offered by Dr. Brightleaf.